last Christmas the most surprising and wonderful book came into our lives. Tomie dePaola’s Book of Christmas Carols got checked out from the library at the beginning of Advent and didn’t get returned again until well into Epiphany! Nicolas was especially drawn to the pictures and would bring the book and want me to sing each selection. Tomie’s art drew the children to the songs, and the singing made our Advent and Christmas rich. i wanted the same sort of experience for hymns that our family sings…a book that even children who don’t know how to read can approach and learn from. but where is this book? i hadn’t ever come across anything like this. so i made one! 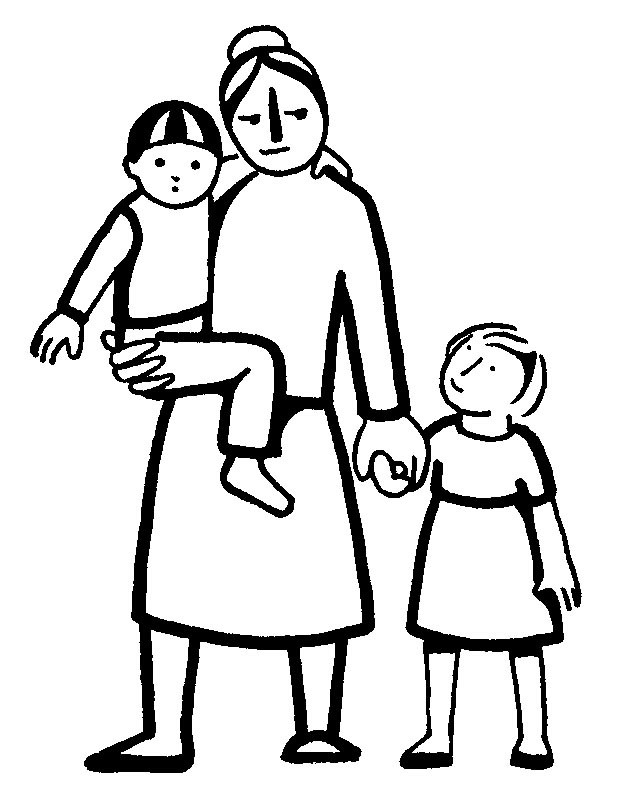 using clip art designed by Gertrud Mueller Nelson, i collected hymns for our family. i organized the selections following Rahima Baldwin’s encouragement that we need to cultivate in our children a sense of reverence and gratitude. this is a very small collection, only 13 hymns. may they came to share the sacred space you are creating for your family.